All original. Excellent working condition. My great grandparents bought this record player new. Thank you for submitting your item for appraisal. 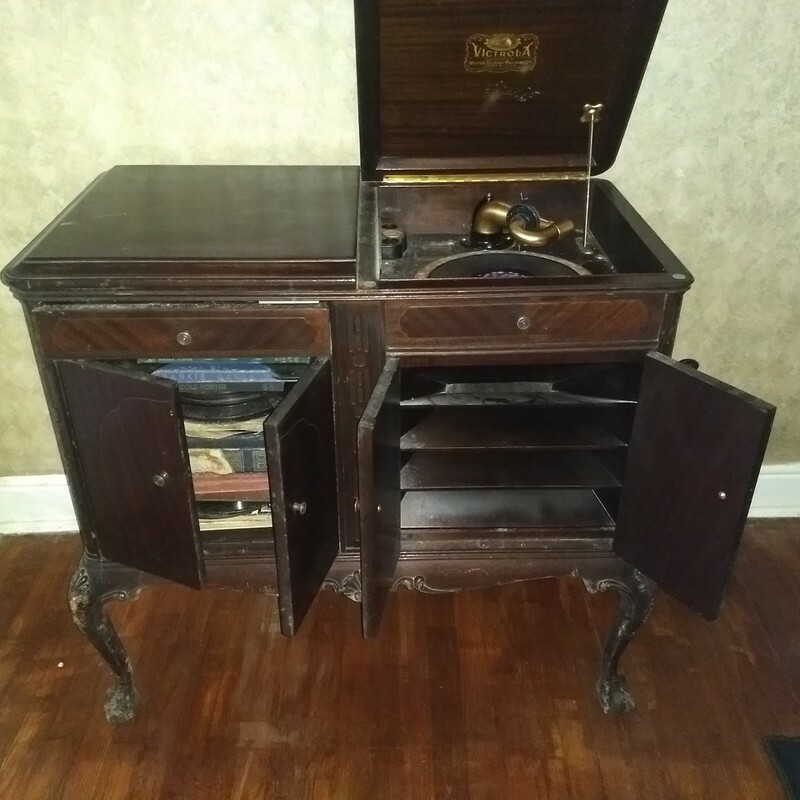 This appears to be a Victrola talking machine grammophone of the 1910s-1920s, on cabriole legs an ball claw feet, the style matching to the popular reproduction style furniture of the period. These larger grammophones were a big investment for any household during that era, but were soon replaced by radio. The estimate is based on current auction results. "Asking prices" in the trade can be higher and vary. There is no measurement for the sentimental value you might attach to it.